Waterproofing emergencies take special care and quick action. 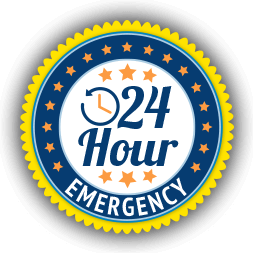 Aquatech Waterproofing offers a 24/7 emergency line so that we can serve you when you need us the most. We take great pride in being able to provide emergency Toronto waterproofing at any time and any place. There are many different types of waterproofing emergencies that occur, and they can all cause major damage to your home. Here are some of the emergency services we offer to the Greater Toronto Area. When there are clogs in your sewer line or drains, you can have a big mess on your hands. This can lead to overflowing sinks and tubs throughout your house, toilets that won’t flush, and water backing up in your basement. In some cases, the water that backs up inside your house will contain sewage and waste that will make your house smell and cause messes that will cost thousands of dollars to clean up. 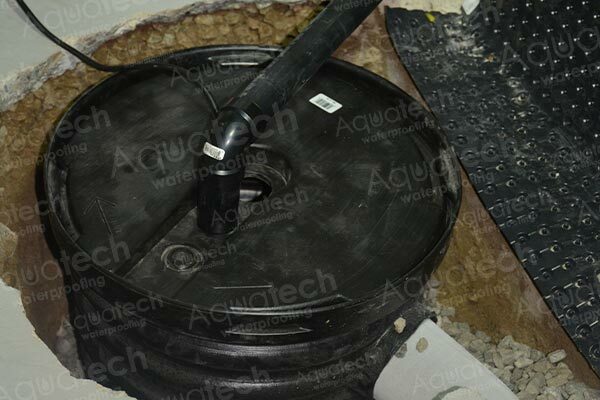 That’s why you need Aquatech Waterproofing the moment you notice a sewer or drain clog. There are many reasons why your sewer line or drains might become clogged. From breakages to tree root jams to grease and other clogging agents, clogs can occur without warning and can lead to a lot of damage if not remedied quickly. Our experts can quickly diagnose the problem and get the clog removed so that your house can be protected from flooding and sewage. 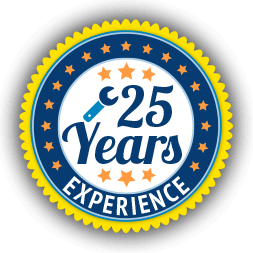 We use the most up to date and innovative technology to pinpoint the exact location of your sewer or drain problem, and we get it fixed quickly for you. You rely on your sump pump to keep the water out of your basement, but what happens when your sump pump suddenly fails? There are many things that can cause sump pump failure, including overuse, improper settings, lack of maintenance, age, and power outages. No matter what the cause, we can repair or replace your sump pump quickly so that you can keep the water out of the basement. Of course, sump pump failure always happens at the worst times. If your sump pump breaks during a heavy rainfall, or if your power goes out during a bad thunderstorm, it could be only a matter of minutes before your basement is flooded. The experts at Aquatech Waterproofing can be at your home quickly to fix your pump or install a suitable backup battery. Whether it happens while you are at work or during the middle of the night, we can be there for you to fix it. Although many foundation cracks develop over time, it’s impossible for a homeowner to gauge exactly when a crack will lead to water entering the home. A crack that you noticed a year ago might suddenly become an entrance point for water in the middle of the night. When this happens, your home can quickly flood and sustain severe water damage. 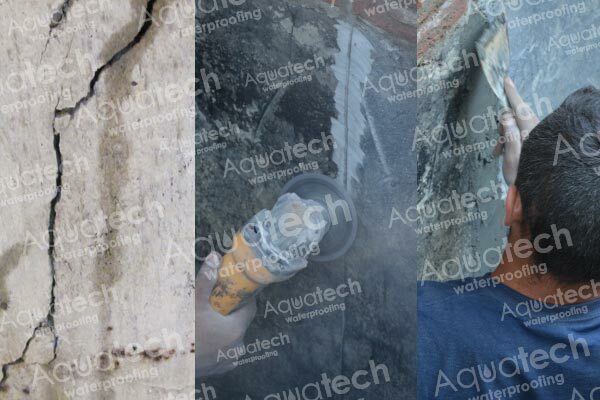 Aquatech Waterproofing can come to your home to repair and seal your cracks regardless of the time of day. 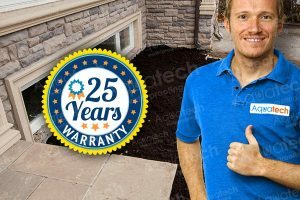 We always have the tools necessary to fix the most severe foundation cracks, and we’re here to help you no matter what time of day it is. No matter what the cause of your basement flooding is, Aquatech Waterproofing can come out to your home at any time to determine the cause and provide you with a solution. We’ve come to expect basements to flood at the worst times, and that’s why we make ourselves available to you all the time. 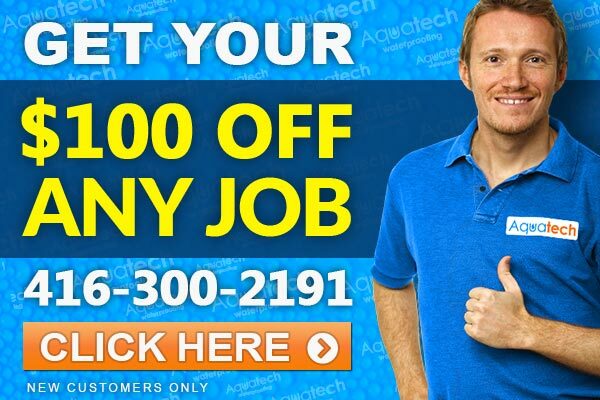 Aquatech Waterproofing is always available to cover you when you have a Toronto waterproofing emergency.